Cascais is a coastal town located approximately 30 kilometres outside of Lisbon, Portugal. Known for its picturesque harbours, welcoming beaches and lush mountains, there are a number of luxury camping sites to be found here. Contact a professional from LUX-camp for additional information. What Features Enable Cascais to Offer a Perfect Camping Holiday? A warm climate during the height of the tourist season. Outdoor activities such as fishing, hiking, golf and swimming abound. A selection of quality holiday camping sites. A region that is conveniently close to Lisbon. This region has been inhabited since ancient times, with formal settlement having begun around the twelfth century. 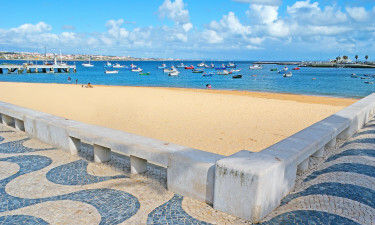 Thanks to its numerous natural harbours, fishing has always been popular throughout Cascais. Much of this history is preserved to the present day and many luxury camping resorts are found quite close to the Atlantic coast. An agreeable climate has enabled this region to be quite popular with tourists from around the world. This site offers camping luxury alongside a splendid natural environment and leisure activities such as table tennis and swimming in an open-air pool. Another notable quality of this site is that guests can stay in spacious mobile homes while enjoying access to wireless Internet, baby changing facilities and a laundrette fully equipped with tumble dryers and washing machines. Due to the rather protected nature of this coastline, there are a number of stunning beaches to be experienced. 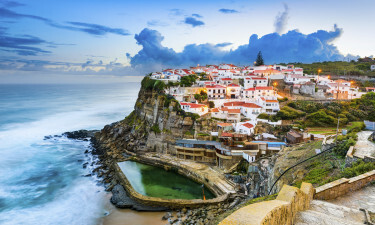 Some of the most frequented include Praia Guincho (located quite close to the holiday camping site itself), Praia de Carcavelos and Praia Rainha. A short trek inland will present stunning views of the Sintra mountain range and access to a diverse selection of flora and fauna. Many of those staying at luxury camping sites will choose to visit the local wineries which are found throughout the region. Although the beaches are not to be missed, other attractions include the iconic Santa Maria Lighthouse and the Cont Castro Guimaraes Museum. Nature lovers should also be sure to take excursions into the nearby countryside, as some spectacular views are only moments away. The maritime nature of Cascais will enable guests to enjoy traditional platters of fish and rice. Whitefish and a species known here as "dorado" are particularly tasty. Fresh vegetables cooked in virgin olive oil and grilled chicken are also very common. The verdant green landscape here has enabled Cascais to offer up some truly tasty wines. The selection of white wines offered at most restaurants will go particularly well with fresh fish. 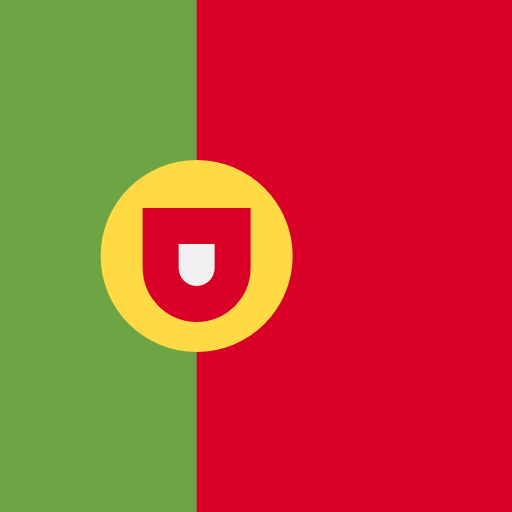 Like other areas within Portugal, the locals here are very friendly and exhibit a traditional hospitality that is not often found in larger cities.